This five-day instructor-led course teaches students how to install, configure, and administer Microsoft SharePoint and also how to manage and monitor sites and users by using Microsoft SharePoint 2010. Configure secure SharePoint services and service applications. Describe the components of Office 365.  This module provides an overview of SharePoint 2010 and SharePoint Online. It will prepare students for the installation of the first server in a SharePoint 2010 farm and give details on SharePoint 2010 and SharePoint Online. This module covers Administering and Automating SharePoint. It covers how to apply the full range of options for administering and automating SharePoint—Central Administration, STSADM, and PowerShell. This module enables students to configure specific service applications. Focusing on implementing connectivity services and configuring office web apps for connectivity. This module enables students to configure business continuity for SharePoint including protecting and recovering content, working with backups and restoring for disaster recovery and implementing high availability solutions. This module covers implementing sand administering Office 365 and SharePoint Online. This module discusses how to administer and configure SharePoint Search. It focuses on configuring and refining search. This module teaches students how to install and upgrade to SharePoint 2010 in a variety of scenarios, and to keep SharePoint 2010 current. This module shows students how to monitor SharePoint performance, health, and usage, and to identify and remediation performance and health problems. Before attending this course, students must have general conceptual awareness of Microsoft .NET Framework. Upon completion of this course, attendees can Progress to Microsoft SharePoint 2010, Application Development. Configuring and Administering Microsoft SharePoint 2010Course Code: 10174This five-day instructor-led course teaches students to install, configure, and administer Microsoft SharePoint 2010. Designing a Microsoft SharePoint 2010 InfrastructureCourse Code: 10231This 5 day course teaches IT Professionals to design and deploy Microsoft SharePoint 2010. Designing and Developing Microsoft SharePoint Server 2010 ApplicationsCourse Code: 10232Learn the skills to help organizations design and develop effective SharePoint applications. Integrating Microsoft Dynamics CRM 2011 with Microsoft Office SharePoint Server 2010Course Code: 80447This course helps students understand Microsoft SharePoint 2010 and Microsoft Dynamics CRM 2011. Microsoft SharePoint 2010 Search for Application DevelopersCourse Code: 10805This course helps .NET developers build solutions on the Microsoft SharePoint 2010 platform. Microsoft FAST Search Server 2010 for SharePoint for Application DevelopersCourse Code: 10806This course enable participants to implement effective search-driven applications using Microsoft FAST Search Server. Microsoft SharePoint 2010, Application DevelopmentCourse Code: 10175This course provides .NET developers with practical information to build solutions on Microsoft SharePoint 2010. Microsoft SharePoint 2010 Site Collection and Site AdministrationCourse Code: 50547The course will provide students necessary information on SharePoint 2010 features and capabilities. Using Microsoft SharePoint Technology with Microsoft Dynamics GP 2010Course Code: 80240Students will learn to work with Microsoft SharePoint Technologies for Microsoft Dynamics GP 2010. SharePoint 2010 Business IntelligenceCourse Code: 50429Implement your BI Strategies and enable your decision makers to see data in new and dynamic ways. Visualizing SharePoint Business Intelligence with No CodeCourse Code: 50561No Code visualization means using the data structures that exist already to get the job done.